ADK Design & Core Business Design have been commissioned by Somerset County Council on behalf of a network of local food & drink producers and South West Food & Drink, to help create a food and drink hub for Somerset. With the help of EU funding, the Food & Drink hub will be designed to enhance the sector’s sustainability and encourage greater collaboration across the county. ADK and its partners are calling for food and drink producers in Somerset to sign up to a survey over at www.somersetfooddrink.co.uk. By offering their insight and opinions, local producers can help shape the future of the food and drink hub project. 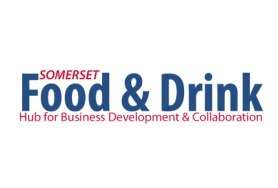 ADK will also be hosting two workshops, in April, offering Somerset’s food and drink producers another exciting opportunity to be part of the new food and drink hub. explains Emma Macdonald of The Bay Tree Company, who is chairing the steering group for the project. The Somerset Food and Drink Hub aims to create a forum and trade point that offers a place to exchange knowledge and share resources and opportunities for local food and drink producers. However, we need everyone in the sector to get involved and have their say to ensure we maximise this opportunity and deliver a hub that meets their needs. We expect to see some good practical business collaborations arising out of this project. We already have an exciting list of public and private partners, including Somerset Chamber of Commerce and all district councils in Somerset, and hope to gather input from the producers themselves, who stand to benefit from the food and drink hub project. The short survey aims to understand the challenges Somerset’s food and drink producers face today and what they want for the future. Whether it’s a lack of funding, networking opportunities or the need for more skilled workers, producers can tell the project team at http://somersetfooddrink.co.uk/. In addition to the survey, people can get the latest project news by signing up to the newsletter at http://somersetfooddrink.co.uk/signup.html. Somerset’s food and drink producers are also invited to take part in lively debates and presentations, as well as discussing the survey results. Somerset benefits from a wealth of incredible food and drink, and this project aims to celebrate and support that by bringing local food and drink producers together to create a solid foundation for future growth and development. We are looking forward to working closely with ADK and Core to ensure we create a sustainable food and drink hub that offers this important business sector the support it needs for years to come. Take part in the survey here and shape the future of Somerset’s Food and Drink Hub http://somersetfooddrink.co.uk/. For more information on the Somerset Food and Drink Hub or to arrange interviews with any of the partners, please contact Andrew Knutt at ADK Ltd andy@adkdesign.co.uk or calling 01823 331097. Director Richard Holt has a wealth of art and design experience matched with a BA Hons Industrial Design PGCE and 25 years management experience in business design training. John Bolt is professor of Design Strategy & Design Innovation with a role within the Masters courses in Brand and Design Strategy at Brunel. John has decades of experience in product branding and design and corporate innovation. Neil has a BA Hons in Design Communication and a member of Chartered Society of Designers. 25 years experience as a design consultant in graphics, brand design and management expertise. Coupled with digital design, ebusiness, marketing, technology and media comes Andrew's expertise in business development. Educated in business studies and an Associate of the Institute of Business Consulting. We offer a free consultation to SME's and organisations that have a serious agenda for taking their business forward. Just contact us today to discuss your ideas and needs and start taking advantage of what design can do for your business.